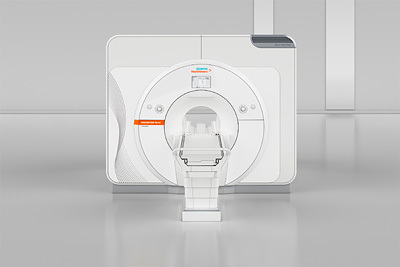 Siemens Healthineers has secured CE mark approval for its 7 Tesla magnetic resonance (MR) scanner, Magnetom Terra. Magnetom Terra is claimed to be the first ultra-high-field MR scanner that secured approval for clinical use. Magnetom Terra offers detailed insights into the human musculoskeletal system, as well as demonstrates a precise picture of the metabolic processes in the brain. The scanner will also help in the visualization of neurological diseases such as Alzheimer's, epilepsy and multiple sclerosis (MS). Users can switch between the clinical protocols and innovative research methods through using Magnetom Terra's dual mode functionality. Produced at Siemens Magnet Technology in Oxford of England, the actively shielded magnet on the new ultra-high-field MR system is said to be the lightest 7 Tesla whole-body magnet in the world. Magnetom Terra utilizes the same software platform as other firm’s clinical scanners in the 1.5T and 3T segments. It allows easy operation of the ultra-high-field system in clinical routine, in conjunction with specially optimized applications for the 7 Tesla system. Siemens Healthineers magnetic resonance imaging general manager and senior vice president Dr Christoph Zindel said: "Having now gained approval for clinical use, we are expanding the scope of diagnostic MRI – 15 years after 3T scanners first became established. Image: Magnetom Terra will help to visualize neurological diseases such as Alzheimer's, epilepsy, and multiple sclerosis. Photo: courtesy of Siemens AG.